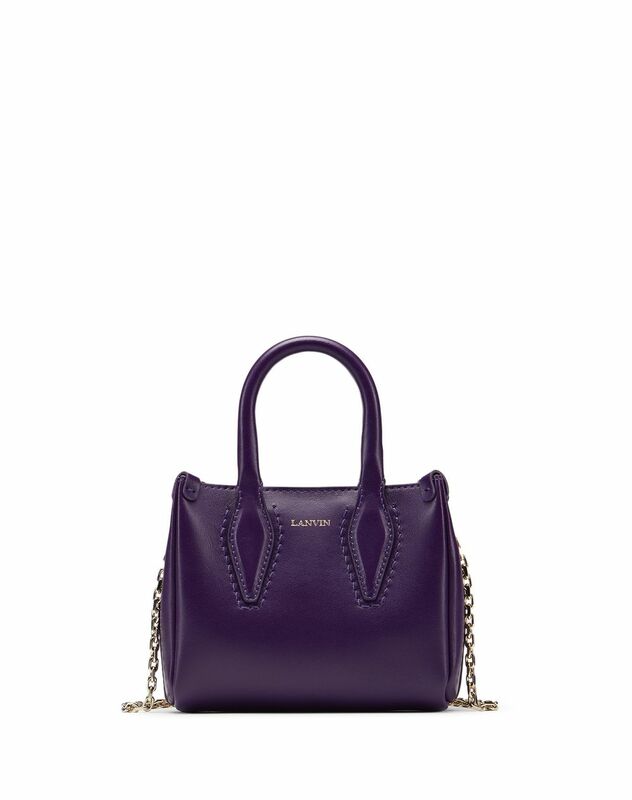 Micro "Journée" bag in smooth dark purple calfskin leather, gold "Lanvin" logo detail, magnetic clasp closure, detachable chain shoulder strap and beige calfskin leather lining. 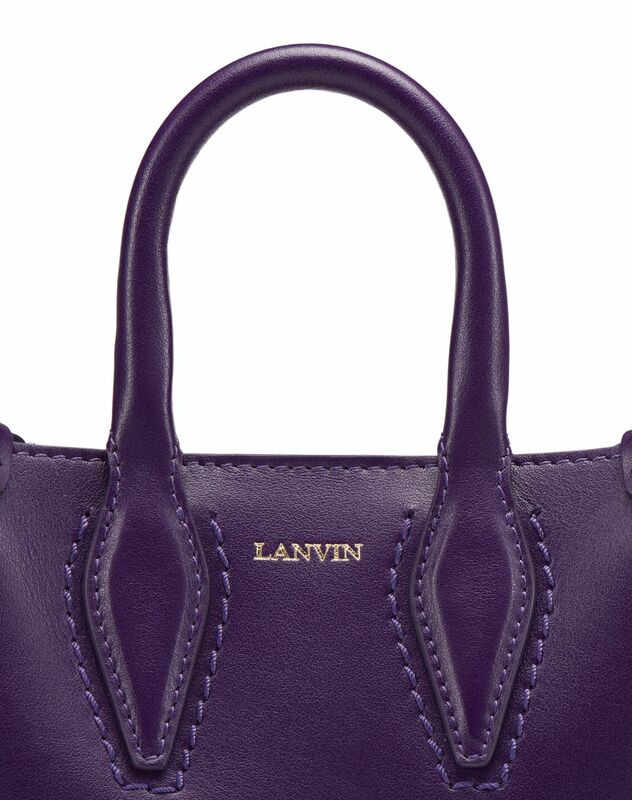 The "Journée" bag stands out as the new timeless Lanvin classic. 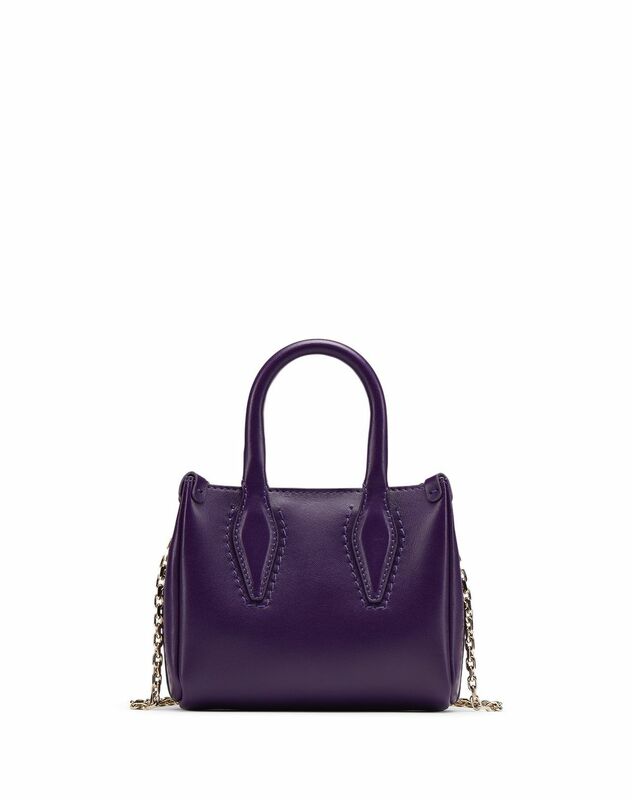 Updated for the Spring-Summer 2019 season, it stands out for its new micro size, ideal for subtly enhancing any outfit, and is featured here in a deep dark purple color. The modern and discreet model can be used for any occasion, either carried by hand for a sophisticated look or across the body for everyday comfort.